Broadly defined, data analytics is an area of statistical analysis that deals with extracting information using various technologies to uncover relationships and patterns within large volumes of data that can be used to manage organizational behavior and performance. Data analytics, while by no means a “silver bullet” to solve all of behavioral health’s challenges, is an important tool that can positively impact provider efficiency and effectiveness across the industry. 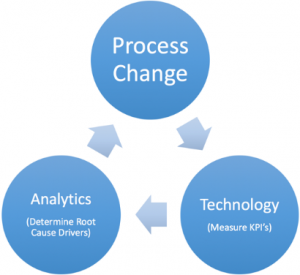 Predictive performance modeling is also achievable through data analytics. For example, flat-line budgeting can be replaced with dynamic budgeting using actual performance levels and real hours worked to predict financial outcomes. As healthcare costs skyrocket, healthcare providers are under intense pressure to increase the quality of care, enhance consumer safety, and improve operational efficiencies. While healthcare reform is debated and legislated, the concept of “accountable care” is at the forefront of the healthcare dialogue. Accountable care will serve as a key dynamic in the future of benchmarking. Benchmarking is a quantitative management approach that can be used to enhance any facet of organizational or individual performance. At the core of benchmarking is a formalized continual and comparative process that sheds light on organizational strengths and opportunities for improvement in key work processes. These insights, in turn, lead to concrete plans for improvement and the illumination of best practices to help guide the path. Benchmarking enables behavioral healthcare and human services organizations to compare their performance and “big data” against key industry metrics and best practices from across the industry. People are constantly comparing themselves with others on a myriad of factors such as appearance, social status, accomplishments, character traits, etc. These comparisons probably have their roots in the biological need to establish a “pecking order,” remain “safe within the herd,” and other innate survival-related dynamics. At the very least, people strive to “keep up with the Joneses.” No matter what the origin is, it is what people do. They compare. The formalized process of drawing comparisons between individuals or entities to identify strengths and opportunities for improvement is known as “benchmarking.” Benchmarking, which taps into this very instinctive need to compare, is an important tool employed in the management of organizations. Many organizations unknowingly support existing performance levels as they have no comparable data. 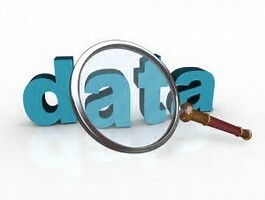 When benchmarking endeavors occur, they are often very rich in support but the resultant information derived, by its very nature, tends to be more qualitative than quantitative. This is primarily caused by benchmarking practices, due to organizational methodologies and system differences, that lead to incongruent benchmarks which diminish their value. PERFORMANCE ASSOCIATES’’s AnalyticsRx, through control of the KPI methodology, processes like information across providers for exact and timely apples-to-apples comparison. PERFORMANCE ASSOCIATES also facilitates Peer Group Benchmarking across providers by way of Program Peer Solutions Groups to attain the largest impact over the shortest duration. 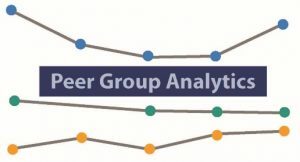 A Peer Group is a group of entities that operate in the same industry sector whose consumers, business practices and processes share similar characteristics and critical data. Peer Group benchmarking presents a significant opportunity for the Behavioral Health industry by addressing one of the primary drivers for managed care: value-based care. Analytics Rx architecture integrates data mining across the peer group and applies consistent business rules and data models that assimilate best practice apples-to-apples comparisons. 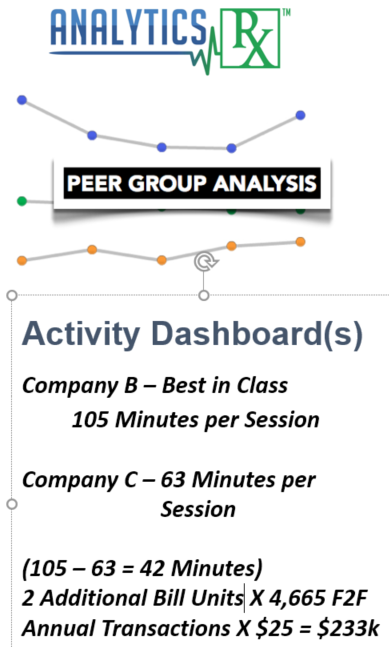 Properly designed, Peer Group KPI’s provides the consistency and credibility to determine best-in-class performance levels. This powerful management tool helps organizations gauge their financial, operational and clinical performance against other similar organizations. Benchmarking allows organizations to identify the strengths of the organization, while also highlighting areas in need of improvement. Developing successful sustainability programs requires the use of benchmarking, a mechanism that drives continual improvements by measuring performance and evaluating progress towards goals. Armed with comparative data, opportunities immediately began to appear. The reengineering of Case Management for Agency A eliminated redundant paper and electronic (EHR) double entry of documentation. 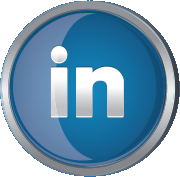 In-Session collaborative documentation and end-of-session goal setting enhanced document quality, eliminated off-line (non-billable) activity and reduced case manager stress. 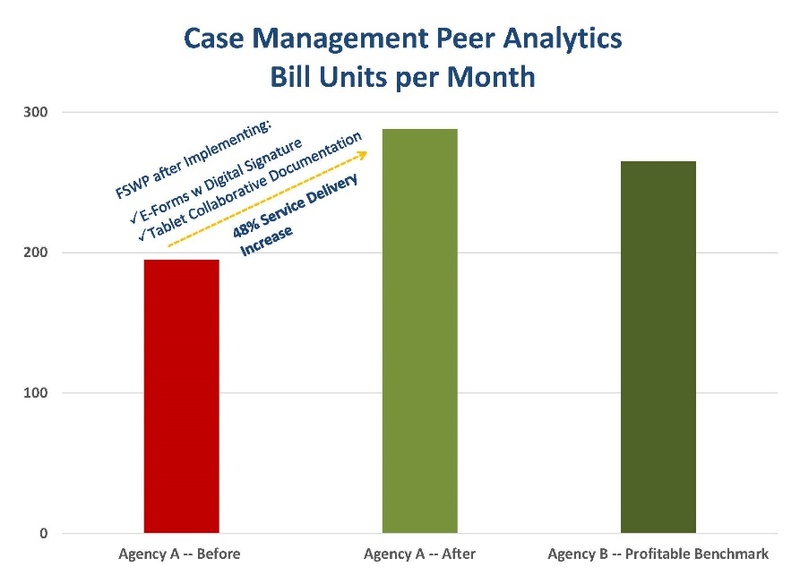 Agency A Case Management program had been underperforming for many years but now increased their Consumer Service Delivery by 48% with the same staff. They also surpassed the performance of highly-profitable Agency B. Agency A surpassed Agency B’s performance, one of only 11 Allegheny County BCM programs that was profitable. 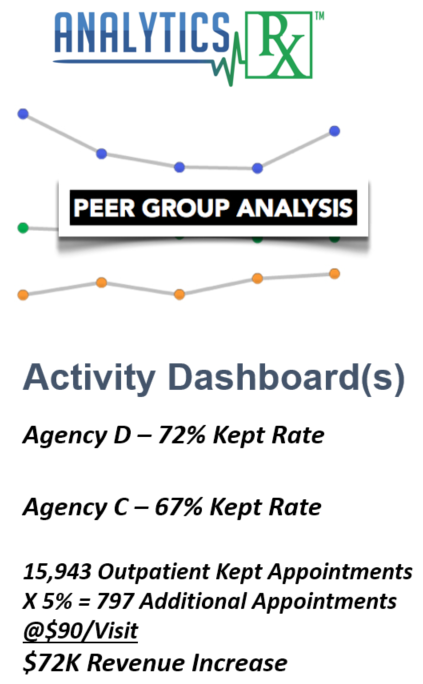 Agency B, then surpassed Agency A’s new performance levels after their PERFORMANCE ASSOCIATES engagement. Sharing this information, Agency B implemented these best-practices and in-turn leap-frogged Agency A’s performance. These results spurred behavioral health leadership to further pursue the possibilities of Peer Analytics across their respective organizations. Several years ago, Payer reimbursement discontinued the practice of paying Case Managers to transport consumers. As a result, many case management programs faced immediate losses. In another reengineering effort at Company B, the focus was on increasing in-field BSC clinician engagement. This lead to increased service delivery, consumer engagement and satisfaction. Non-value-added driving time was also significantly reduced in the process. Over a 12-month period, consumer engagement increased 20% from 88 minutes to 106 minute session average. Company B became best-in-class with Consumer Engagement for Case Management. 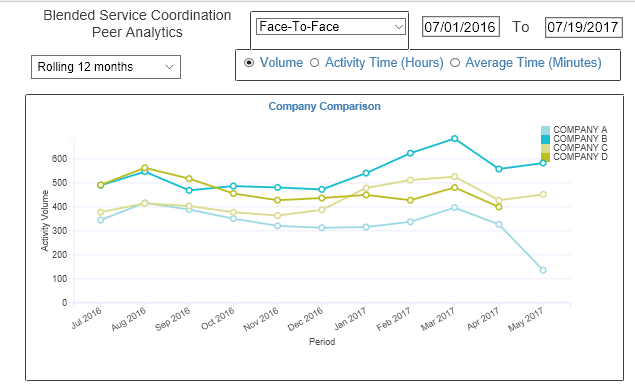 The Case Management Face-to-Face Activity peer analytic dashboards were developed to demonstrate this critical provider comparative performance capability. Comparative provider performance enables dramatic leaps in performance by knowing who is best-in-class in critical KPI’s. Taking out the variability of benchmarking through automated apples-to-apples comparisons, turns the focus from reconciling reporting differences to what best-practices are driving leading provider KPI performance. 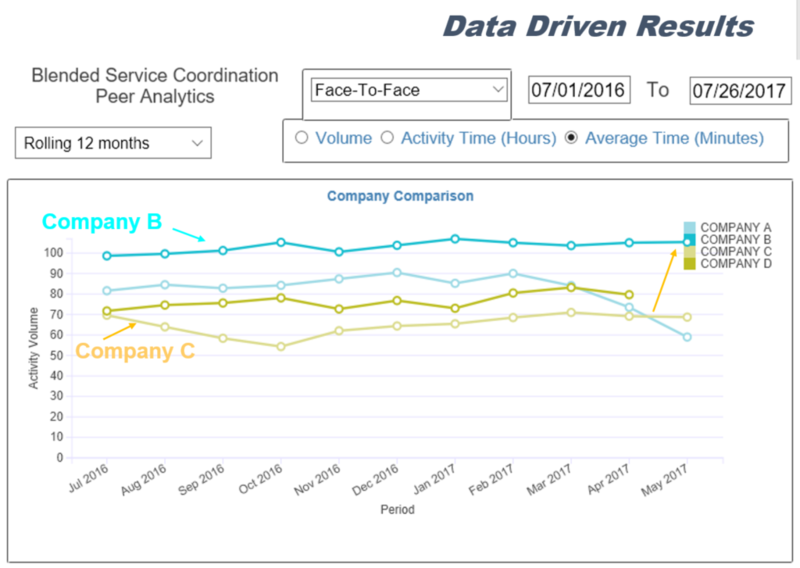 Reviewing Company C’s Case Management Face-to-Face consumer Engagement Time performance across HSMS, Company C could increase their engagement time by 30 minutes (2 Bill Units) per session improving consumer Outcomes while reducing non-productive driving time. Outpatient Adult & Child programs are core services for Behavioral Health providers but also represent the largest agency-wide deficit programs. Addressing Outpatient KPI’s and Peer Analytics represents a tremendous opportunity. Historically, providers struggle with managing caseloads, frequency of scheduling, consumer engagement and service delivery outcomes. This typically results in provider losses of hundreds of thousands in the delivery of Outpatient services. Outpatient reengineering efforts at this agency by PERFORMANCE ASSOCIATES, focused on improving the Kept appointment rate (consumers engagement). 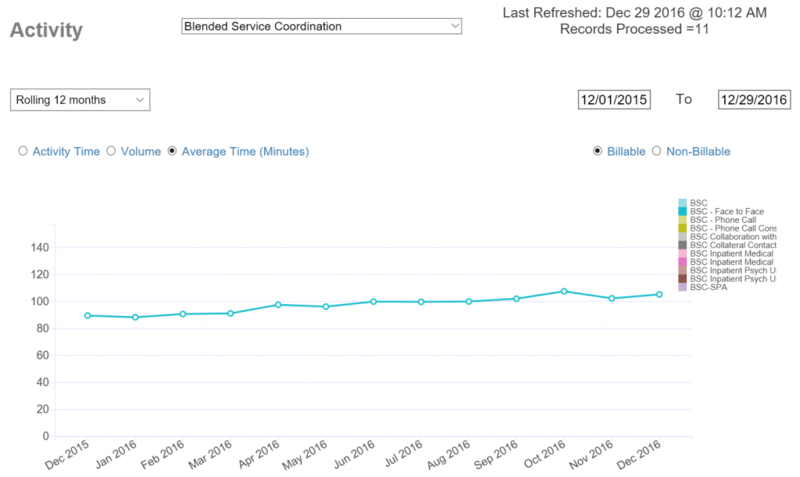 Provider Kept % represents the number of appointments where the consumer is actually seen during a given timeframe. The Kept % is influenced by the level of consumer engagement (involvement) with their treatment. Their Kept % for Adult Outpatient for fiscal years 2012, 2013 and 2014 averaged only 60%. 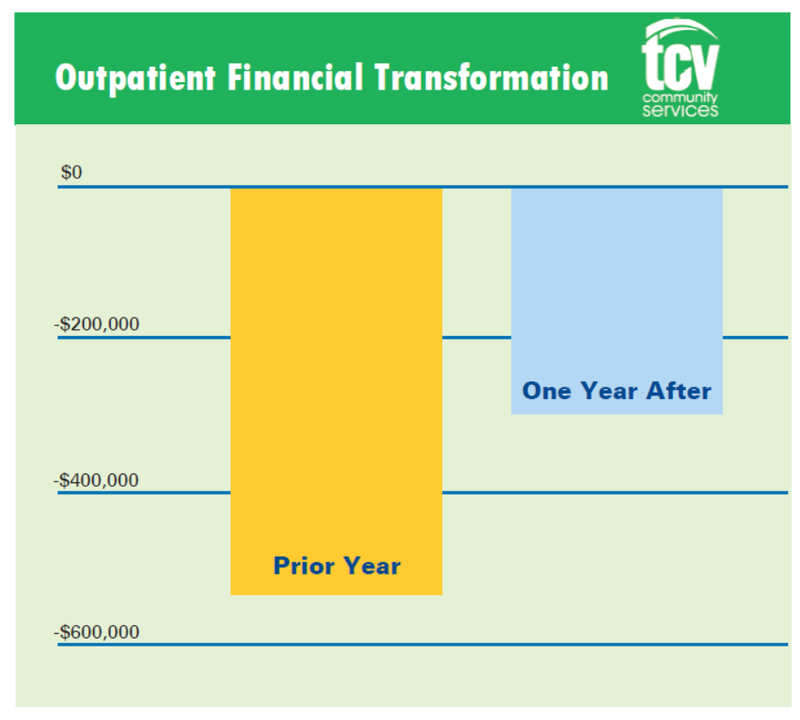 This under-utilization of MDs and Therapists resulted in significant losses that threatened Outpatient program sustainability. Performnce Associates’s reengineering project focused on how to improve the Kept %. The Kept % was improved through enhanced clinician consumer engagement methods of service delivery, policies and practices. Over the past two years, a large increase in the Kept % occurred which has had significant impact on the programs and agencies financial health. 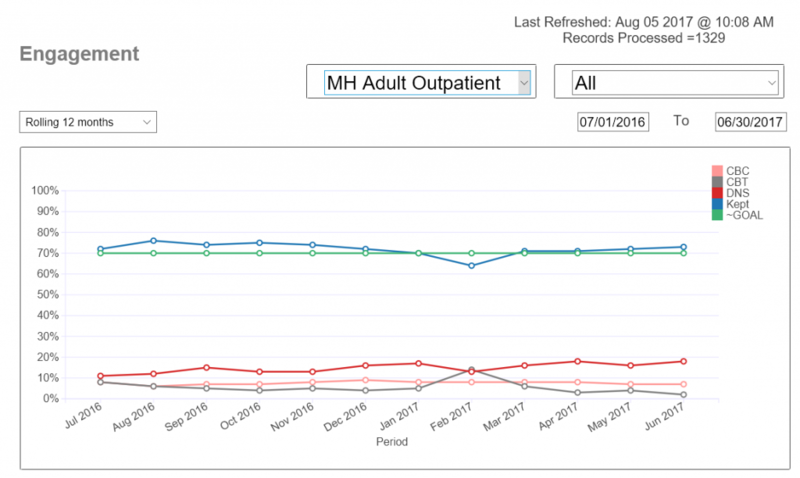 Using the Engagement dashboards, their Outpatient programs have sustained and continuously improved their Kept % for this year ending with a 72% Kept average, a 12% increase surpassing their goal. 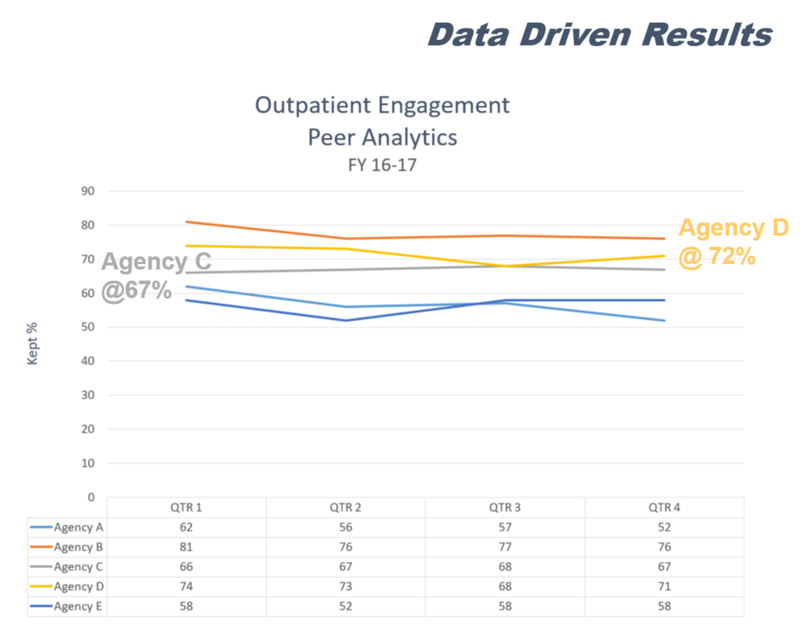 Again, sharing the new Outpatient best-practices, Agency C has the opportunity to attain significant performance improvement through improved scheduling and consumer engagement. 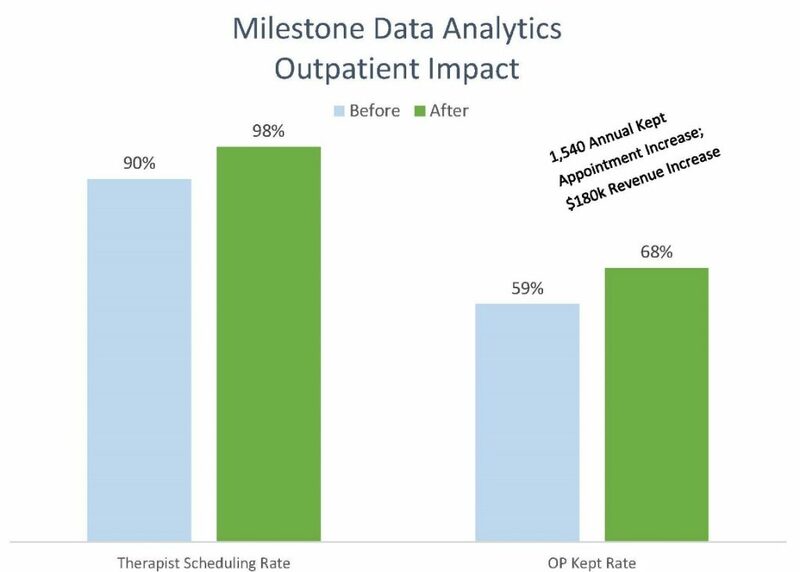 PERFORMANCE ASSOCIATES continues to demonstrate the powerful impact of benchmarking peer-to-peer analytics accompanied by improved management best-practices across other Outpatient, Fee-for-Service Programs, Intake, I&DD, etc.